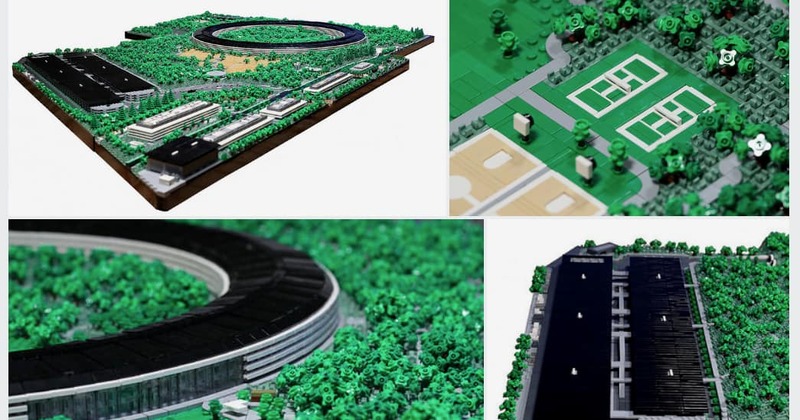 Pictures of the new Apple headquarters constructed of Lego bricks were recently featured on Lego fan website Brothers Brick and can also be seen on Spencer R’s Flickr page. The new HQ, conceived by late Apple co-founder Steve Jobs, opened in 2017 after four years of construction. The cost for the cutting-edge circular building came in at roughly $5 billion. Cult of Mac readers watched every step of the building process for the full-size campus through periodic stories featuring videos shot by drone pilots. These same videos, along with still photographs, revealed plenty of details about Apple Park construction. Using all that info, Spencer R pieced together a kind of blueprint for his most recent Lego masterpiece. According to his Flickr page, Spencer R started building the model in June 2016 and completed it this month. Spencer R estimates he used more than 85,000 pieces (including 1,647 trees) for a model that weighs 77.5 pounds. 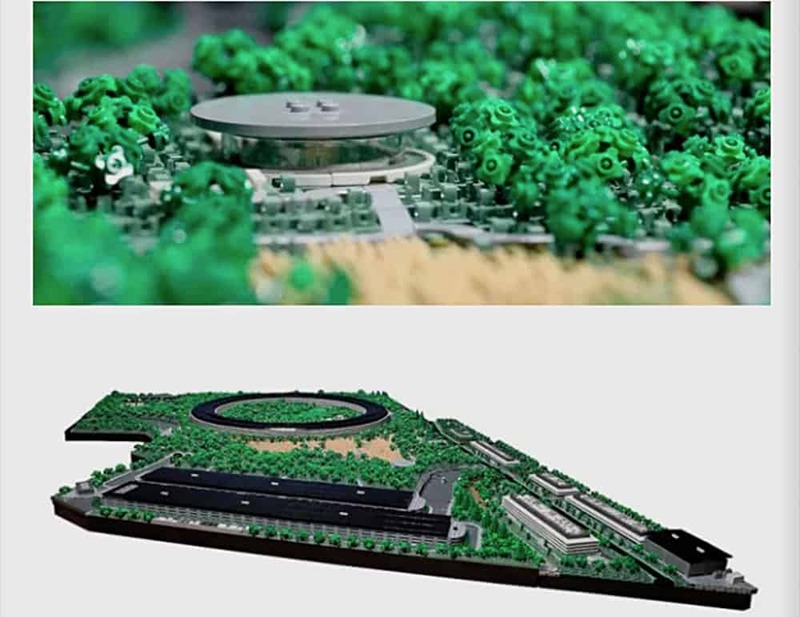 In trees alone, Spencer R planted 1,647 on his Lego Apple Park campus. Spencer R spared no details. The fitness center shows basketball and tennis courts. There are even barren patches where foliage has yet to bloom. “I’ve always wanted to build a horizontal skyscraper,” he wrote on his Flickr page. “These are sometimes also called groundscapers. Spencer R’s Flickr page also features Lego replicas of famous skyscrapers he has built over the last 15 years.